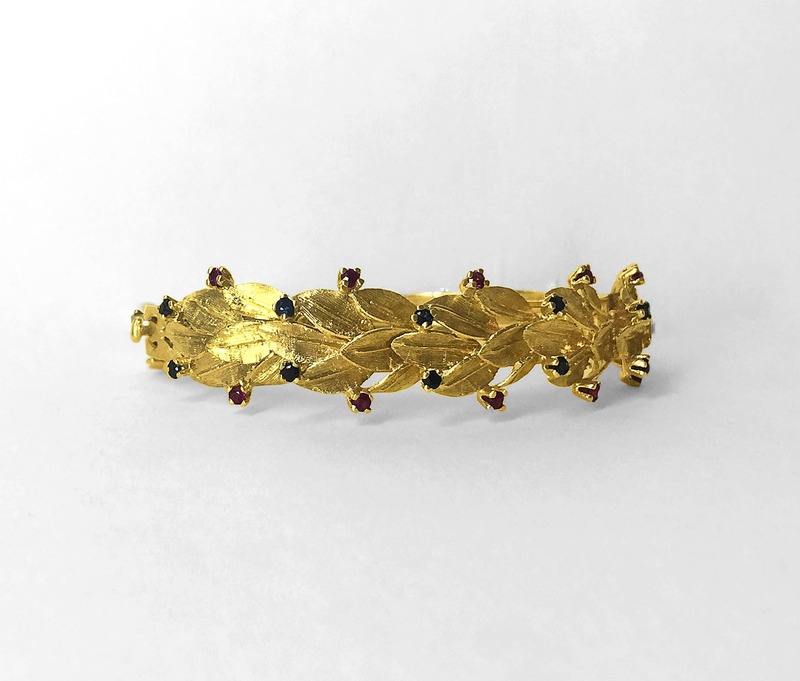 This mid-1950's bracelet is composed of lovely, delicate florentine leaves combined with 10 fine round blue sapphires and 10 sparkling rubies. 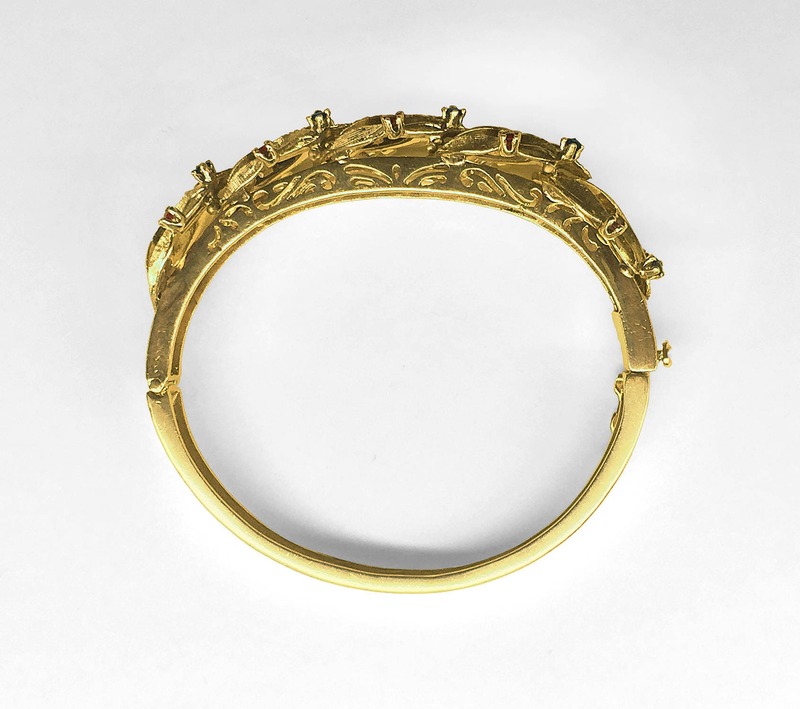 The 14K gold heavy and exceptionally well made piece was custom designed for the wife of a very prominent Buffalo, NY jeweler. If you wish any stones can be changed to suit your preferences.